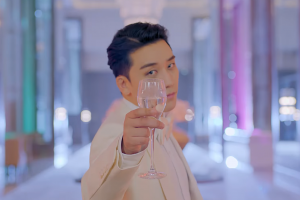 All Hail "The Great Seungri"
For those unaware, beyond the themes and metaphors of the American Dream and the vicissitudes of time, The Great Gatsby is a love story first, and tragedy second. A poor Jay Gatsby meets the upper-class Daisy, and they fall in love, but Gatsby is sent off to serve in the Great War. 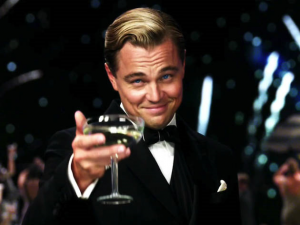 Gatsby comes back, highly decorated but still in poverty, and discovers Daisy had married another. Undeterred, Gatsby reinvents himself, hoping this would be enough for Daisy to hear of his wealth and run back to his arms. Ultimately, it wasn’t, and the novel ends with Gatsby’s tragic demise. Throughout all of this, was he worthy of the title of ‘great’? Yes, he embodies the rags-to-riches trope. Yes, he had a dream and he never stopped chasing after it, getting remarkably close in the process. But he failed. He didn’t get the girl. His fortune is nothing to be proud of, given he earned it from crime. And besides Nick, his father, and the bespectacled personification of God, no one bothered to attend his funeral, despite the lavish parties he threw where even the uninvited were welcome. Taking the title of this album into account, it’s kind of hard not to wonder whether Seungri, like Gatsby, is worthy of ‘greatness’ as well. In a certain sense, it’s easy to draw parallels between their stories. 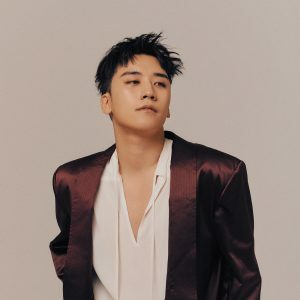 Despite often being musically overshadowed by the other members of Big Bang, he more than makes up for this with his larger-than-life personality and charisma, throwing himself into whatever hobbies and business ventures he fancies. He boasts of owning a ramen chain, multiple cafes and bars, becoming the owner of global DJ label Natural High Records and subsequently the CEO of YG Entertainment’s subsidiary, YGX. It’s difficult not to feel impressed by his rise to success. Still, he is first and foremost an idol, and the fact remains that his solo discography is — in comparison to the rest of Big Bang — lacking. Don’t get me wrong, Let’s Talk About Love was good, and “GG Be” is still one of my favorite K-pop songs of all time, but on certain tracks, I can’t shake the feeling that other singers could have done it better. Simply put, unlike Rise and Kwon Ji-Yong, the album didn’t stand out as something only Seungri could accomplish, as something inherently his. And then came The Great Seungri. Long story short, I’m ready to accept Seungri as my lord and savior, because I absolutely love this album. This is 9 tracks of Seungri firmly in his element, with enough confidence to make Ric Flair stop and stare, and it wouldn’t be an overstatement to call this the finest moment in his solo career thus far. I had my share of misgivings going into this title track, with a teaser that sounded disjointed and odd, and Seungri’s nasal vocals being more gratingly pronounced than usual. Listening to that part in context on the full track after an amazing build up makes it a whole lot better, as funky riffs give way to an expansive and lively drop. There’s so much to like about this track, from the chants, its infectious energy, the predictable yet enjoyable back-and-forth in the bridge, and although the chorus did take some time getting used to after the initial shock, it’s a very satisfying title track. As a minor nitpick: in terms of its sound and production, it doesn’t quite sonically fit with the rest of the album. Much like how The Great Gatsby goes balls-deep into the themes of another era and nostalgia, a good part of The Great Seungri has Seungri take us back to a time where simple, infectious EDM was all the rage. It’s as if he took a leaf out of his experience as a DJ and composed a large part of The Great Seungri asking himself, “would people enjoy it if played this in the club?” And I gotta say, rather than coming off as camp and dated, this decision propels The Great Seungri to greater heights. Take “Where R U From” as an example. In hindsight, it probably should have been the title track instead, doing a much better job in representing The Great Seungri’s overall sound, with the familiar, rubbery bassline and a surprisingly understated drop, but what really sells the song is Seungri, in his effortlessly charming delivery. It’s always refreshing to hear an artist not take themselves too seriously, and that works especially well for a track of this nature. Winner’s Mino pops in halfway through the track, and at this point of his solo ventures, his verse is textbook: playfully cocky and suggestive at the same time. A small part of me wants to rag on him for being almost formulaic in his approach, but the other part of me doesn’t give a damn and wants more on his upcoming solo album, especially if he does it this well. The electrifying back-and-forth Seungri and Mino share in the track’s final moments is the icing on a cake. When a club banger is done this well and is such a blast to listen to, arguing that the subject matter is played out is beside the point. Going deeper into the album, one would be forgiven in thinking Seungri saw PSY’s departure from YG Entertainment’s as an opportunity to step into his shoes and finish what he started. Tracks like “Hotline” sound like a continuation of “Where R U From” minus the feature, not that I’m complaining: Seungri delivers vocals that are smooth as butter over invasive, glitchy synths, striking a jackpot with the cheeky and memorable “Boom, I like it” hook. If this song doesn’t get you moving in any way, even when Seungri acts as his own hype man in the song’s closing moments, I honestly don’t have anything else to tell you. As a testament to Seungri’s talents as a producer, a host, the life of the party, this song speaks for itself. The rest of the tracks do continue this trend of intoxicating simplicity. “Be Friend” is another immediate crowd-pleaser. From the get-go, the song hits you like a bar stool with thumping, full synths and a simple percussion that when put together is reminiscent of G-Dragon’s “Crooked”. It’s joyous, it’s triumphant, it’s an aural victory lap, especially as the lyrics involve Seungri declaring that the world was his oyster whilst seeking to reconnect with someone. In addition, his introspective, heartfelt lyrics during the bridge of the song helps add another dimension to an already great track. As for “Mollado”, I don’t know whether it’s simply the presence of the guitar, its rhythm, or the booming bass at the end of every chorus, but something about it definitely feels influenced by “Havana”. In this song, the devil is in the detail, such as the vocal flourishes IKON’s B.I. provides during Seungri’s verses, the adlibs, and the way the punchy instrumentation syncs up in its introduction. All of these intricacies help elevate this track and not make it sound played out, which is doubly important given the reuse of the subject matter. I’ve always approached B.I.’s rapping with a degree of skepticism, but even the grating quality of his voice is thankfully dialed back a notch, and his verse — while short — gets the job done. 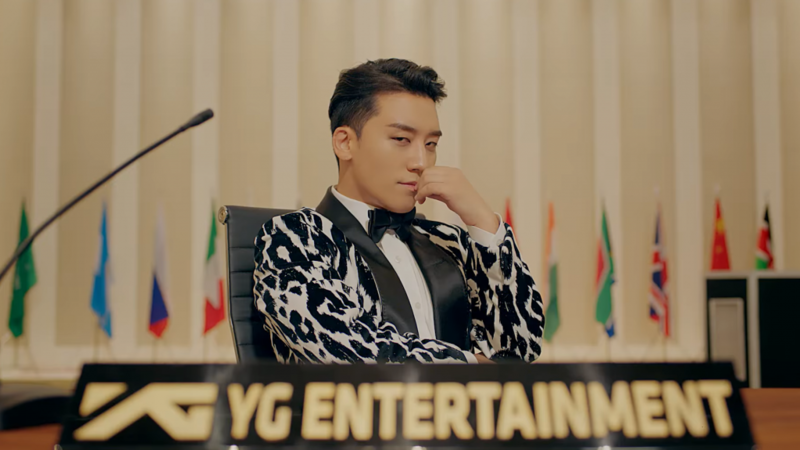 Like any forward-thinking president, Seungri wastes no time in showcasing his new artists’ talents — take note, YG — and not only features Anda in the music video of “1, 2, 3!”, but also features Soundcloud singer and recent YGX signee Blue.D on the track “Love is You”. As one of the album’s slower moments, it does well as an intermission of sorts between the album’s fast-paced tracks; backed by an acoustic guitar, the two singers lament about feelings of emptiness and love lost on what was otherwise a good day. Seungri’s nasal, tender vocals contrast delightfully with Blue.D’s airy falsetto as they both describe their nights of sleeping around as a means to keep their failed relationship out of their minds. 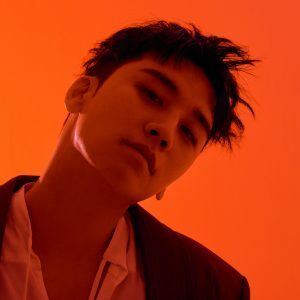 Memorably, Seungri’s bitterly remarks that his friends always said he had low standards when it came to women. Overall, though I wish the chorus packed a little more punch, the interplay between the two singers more than make up for it. The last two tracks are where The Great Seungri begins to lose steam. Despite showcasing Seungri’s best vocal performances and some of the lyrically strongest moments on the album, the production of both “Alone” and “Good Luck to You” are reminiscent of Chainsmokers throwaways, and ironically comes off as dated and unexciting for the most part. Both instrumental drops come off as lazy and just “there”, squandering the good amount of buildup Seungri had amassed during his verses. “Alone” has a slight edge — if only due to the beautiful vocals during the bridge — but that’s really not saying much. As it stands, they’re both serviceable tracks on their own, but after reaching the highs of “Hotline” and “Be Friend”, you can’t help but feel disappointed at the unmet potential the final two tracks contain. On the whole, Seungri has finally come into his own as an artist on this album. Everything, from the production to the lyrics, feels so individually his that you’re willing to forgive some of the album’s lower moments in light of the bigger picture. While I hated the book at first and had eventually appreciated what a masterpiece it was on repeated readings, I can safely say that I unabashedly love this album from the very first listen: The Great Seungri is a house party straight out of The Great Gatsby, but while the enigmatic Gatsby preferred to keep himself hidden from all the festivities, Seungri prefers to be the charismatic host, clearly enjoying being the unquestionable center of attention. I’m still undecided on Gatsby but Seungri has — with this album — proven that he is truly worthy of the title, that he is truly worthy of greatness. That he is truly The Great Seungri.